A 16-year-old who was raised by her assassin father is cut loose across Europe, tracked by a ruthless intelligence agent and her operatives. Good movie. I've seen movies which had the same wipe to them, but still this is a very original take to the "agent hunted by the agency"-movie. Leon is possibly the movie I've seen that resembled it the most. Kate Blanchet does very well as the bad guy. There's especially a few shots where you see her eyes only, looking awfully mean! Nice cast. Her character in it self, did not feel that believable though. I think I figured out why Eric and Hanna splits up in the beginning, but that's not a very good reason, and it makes the whole thing less "realistic" and since it kind of tries to be that, it fails a bit. 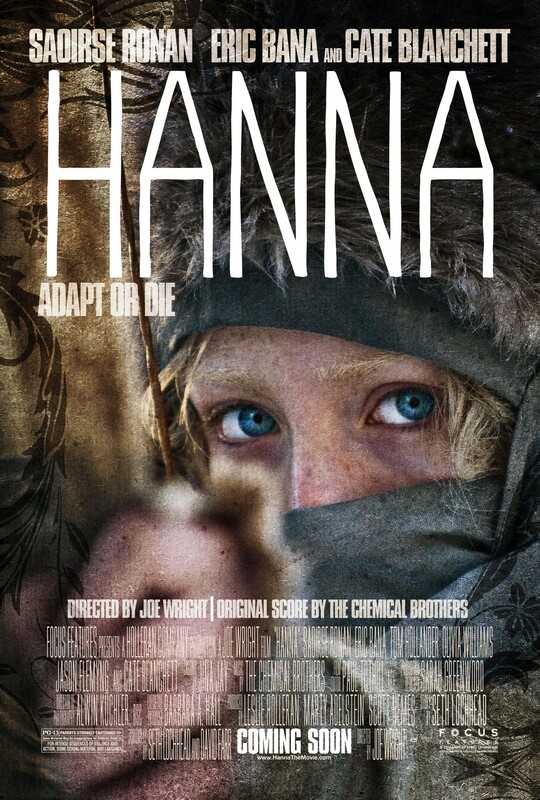 Still if you like movies like Leon and Ronin then you'll fall for Hanna as well. And one more thing: The settings of the different scenes has definitely been chosen with care. To a point where you sometimes think: Is this just going on here to look good! ?